As the old saying goes, if I had a penny for every time I've been recommended Cicio Cacio I'd be a rich girl. 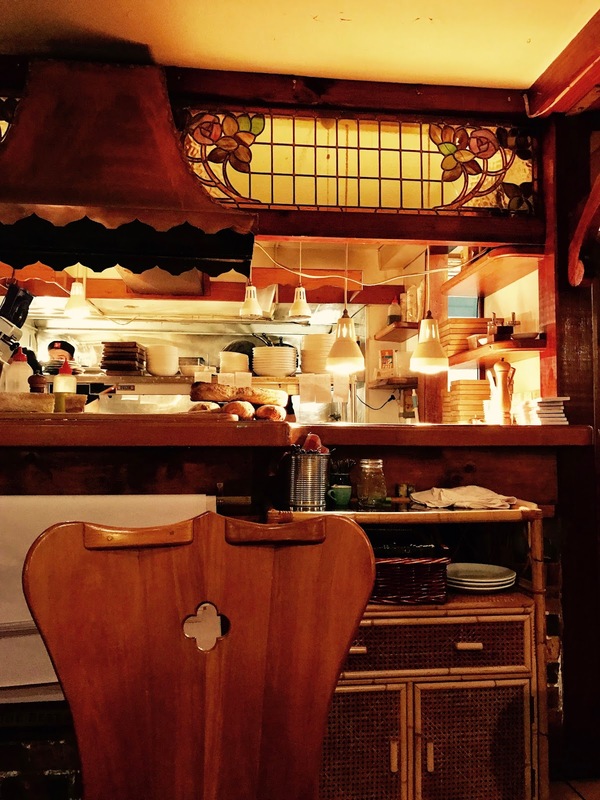 This Newtown establishment, tucked away behind MOON bar (accessed by a laneway off of Owen St), has certainly made a name for itself with its traditional Italian cooking and warm inviting interiors. Stumbling into an upmarket European eaterie isn't something you'd usually expect from Wellington's bohemian suburb packed with punks, shoeless students, and characters carrying cats, but it works. We arrive on a Sunday evening at 5:30pm to friendly waitresses welcoming us in. 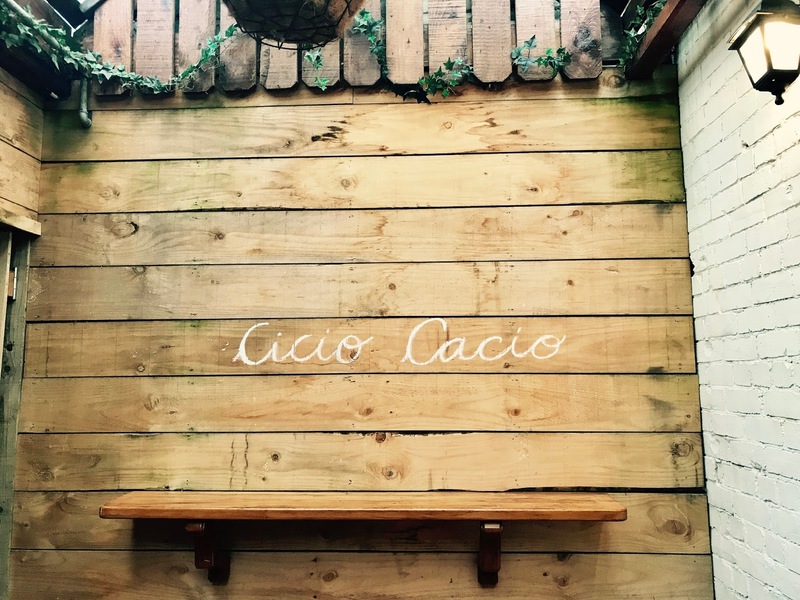 There are no physical menus at Cicio Cacio, mainly because they change their menu daily and so it makes more sense for them to rely on their specials board and their staff relaying the speciality treats. Because the dishes in each category can be counted on one hand, it gives the feeling of a streamlined selection - a curation of the best of the best. 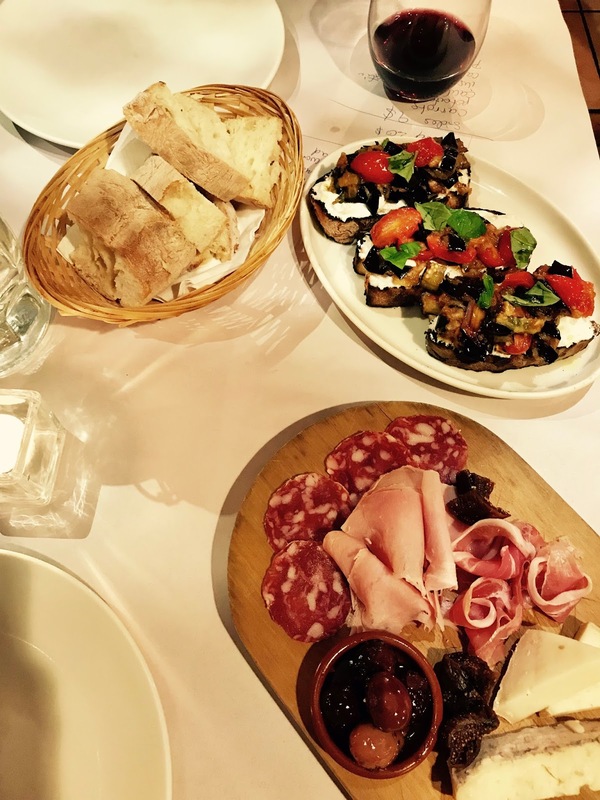 We opt for the bruschetta with goats cheese, tomatoes, and aubergine, along with the antipasti platter of meats, cheeses and breads. For mains we split the seafood risotto (a little too reminiscent of paella), and the pappardelle with ricotta and sausage. The starters definitely were more awe-inspiring than the secondary course, but perhaps that's because we were already filled up on carbs and conversation. The cuisine was perfect for a Sunday night, rounding off the week with the most indulgent of ingredients assembled deliciously. I can really see why people are so enamoured with this place.